Lakeview Estates is located Northwest of Johnson Drive and Pflumm in Shawnee, Kansas. Our community includes more than 330 homes, three swimming pools, tennis court, basketball court, park with playground, and our pride ... the lake. Lakeview Estates Lake includes a brand new dock and a swimming beach. All Lakeview amenities are private property and exclusively for the use of Lakeview Estates residents. We hope you find this website to be a resource for helpful information regarding Lakeview Estates Homes Association. We strive to make Lakeview one of the premier places to live in Shawnee, Kansas! lake with fishing dock and swimming beach. LakeView Estates' lake includes a brand new covered dock and a swimming beach. 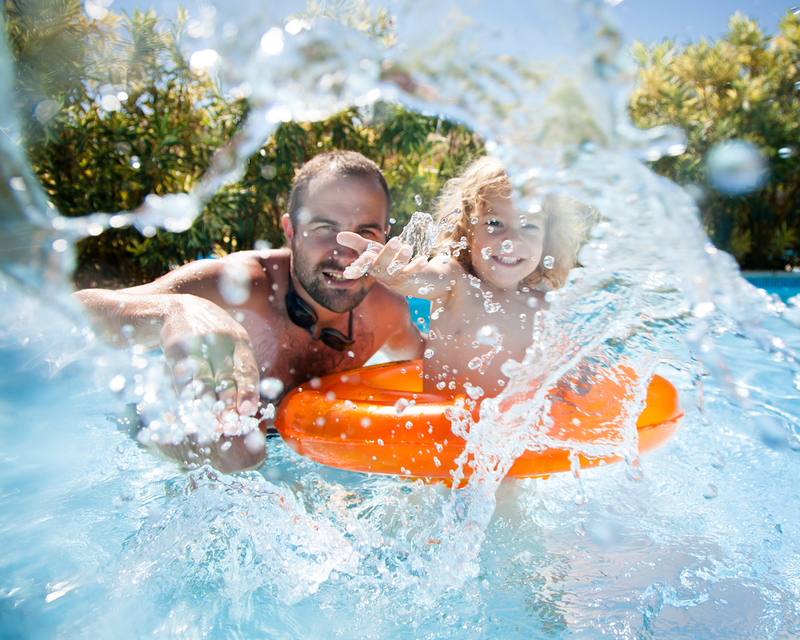 The focal point of summer time is the three swimming pools - 2 adult pools and 1 baby pool. Our residents enjoy sports at the tennis court, basketball court, and park with playground. It's a community. A place to call home. And enjoy what you like. LakeView Estates is a beautiful place to live nestled in the trees and hills, conveniently located in Shawnee, Kansas. Our neighborhood is close to both I-35 and I-435, while containing a quiet country atmosphere. The schools attended by Lakeview students are part of the award winning Shawnee-Mission School District. Broken Arrow elementary is just across Johnson Drive, which allows elementary students to walk to school! NEW FOR 2018! PAY DUES BY CREDIT CARD* via PayPal! Go to top right corner of home page and click on "Dues." *Note: There is a $20.00 convenience fee charged for credit card transactions in addition to the dues amount.